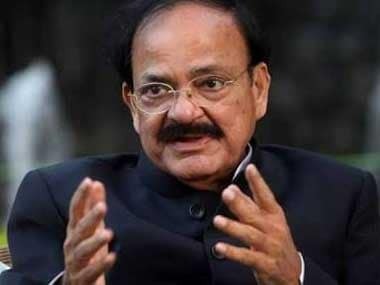 Naidu will also take over as the Chairman of the Rajya Sabha from the outgoing vice-president Hamid Ansari. 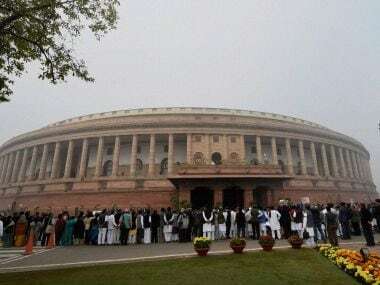 The day will also mark the change of guards in Rajya Sabha, with M Venkaiah Naidu taking over as the Chairman of the Upper House from outgoing vice-president M Hamid Ansari. Parliamentarians across party line gave outgoing Vice-President Hamid Ansari a grand farewell at GMC Balayogi Auditorium at Parliament in New Delhi on Thursday. 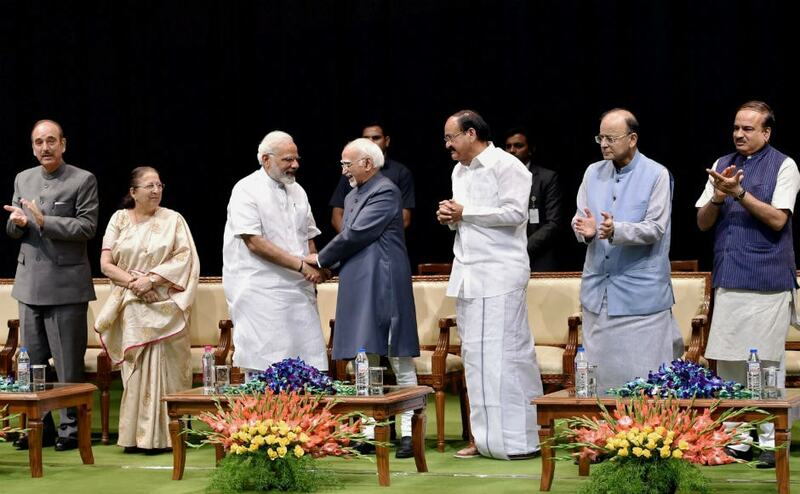 Bidding farewell to outgoing Vice President Hamid Ansari, Prime Minister Narendra Modi on Thursday said his diplomatic stint in West Asia has had an influence on him. 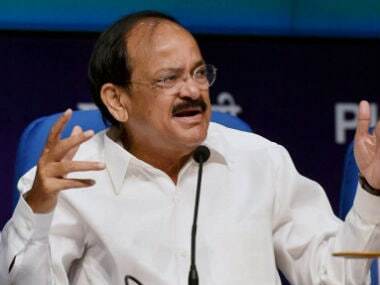 Vice-President-elect M Venkaiah Naidu on Thursday rejected as "political propaganda" the view that there is a sense of insecurity among minorities in the country, apparently a rejoinder to outgoing Vice-President Hamid Ansari. 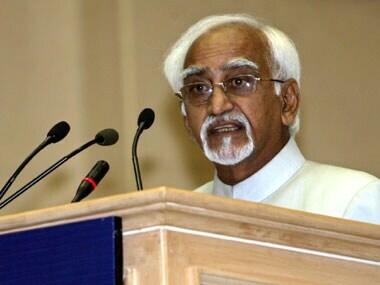 Bidding farewell to Ansari in the Rajya Sabha on his last day, Singh said he had received maximum possible guidance and cooperation from the outgoing chairman. 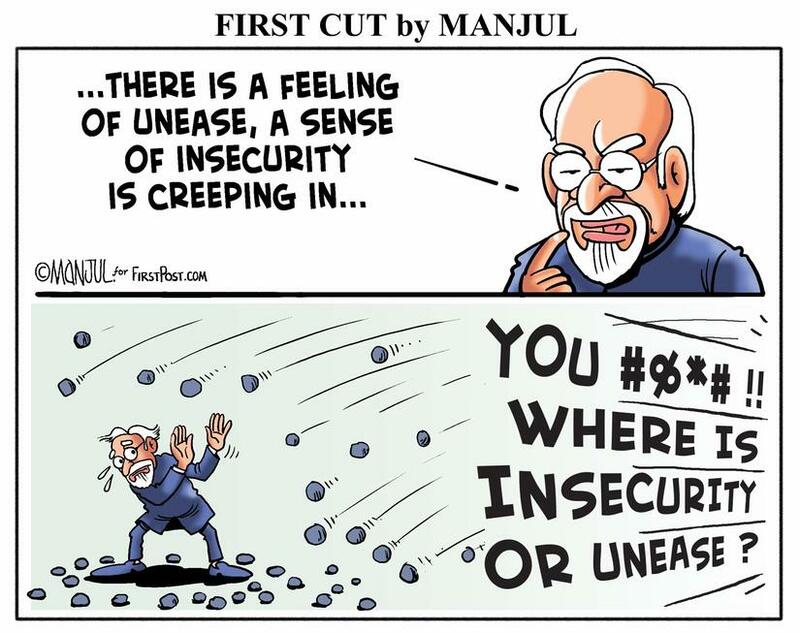 The BJP on Thursday criticised outgoing Vice-President Hamid Ansari for his comment that there was a sense of insecurity among Muslims.